Sharpen your pencils! The classic, bestselling crossword series returns, with 300 never-before-published Thursday to Sunday-size puzzles. Simon & Schuster published the first-ever crossword puzzle book back in 1924. Now, more than ninety years later, the classic crossword series lives on, with a brand-new collection of crosswords from expert puzzle constructor, John M. Samson. 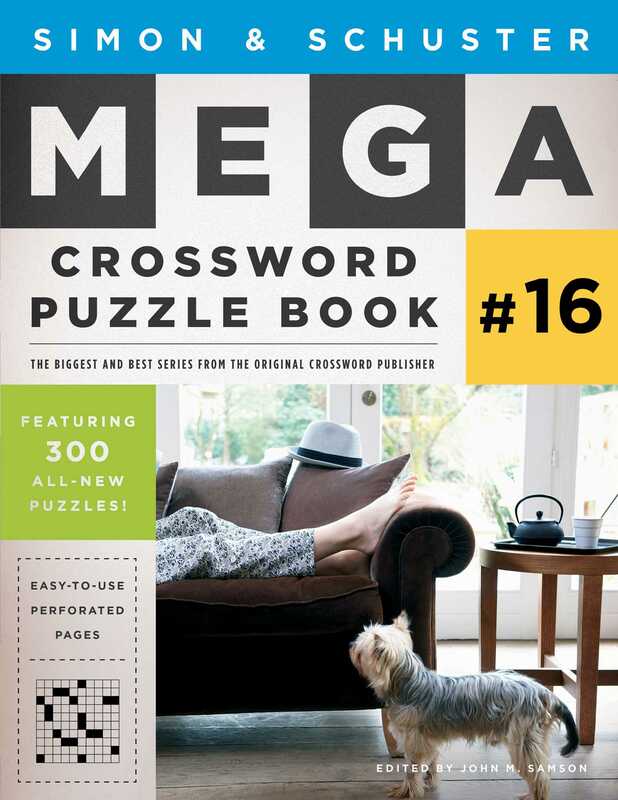 Designed with convenience in mind, this mega crossword puzzle book features perforated pages so you can tear out the crosswords individually and work on them when you’re on the go. Samson delights die-hard fans and challenges new puzzle enthusiasts as they work through this timeless and unique collection of entertainment.